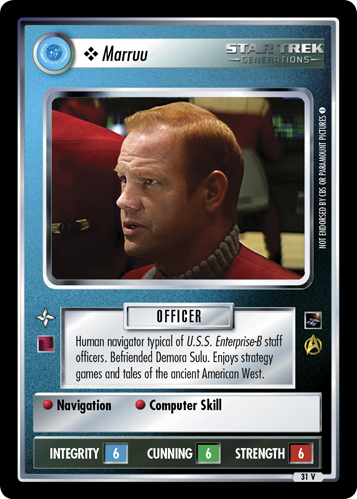 Human navigator typical of U.S.S. 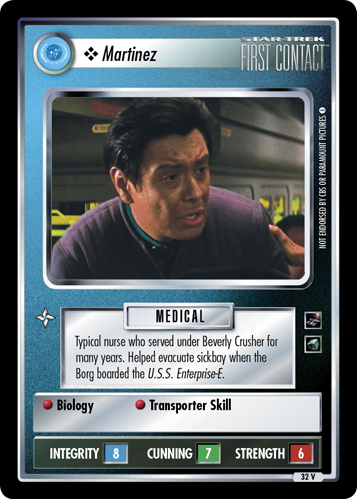 Enterprise-B staff officers. 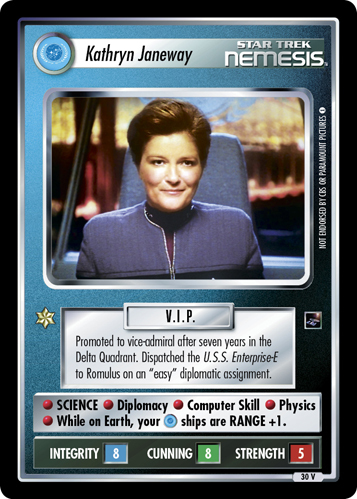 Befriended Demora Sulu. Enjoys strategy games and tales of the ancient American West.